This Sunday is Sept 11, 2011, 10 years since that fateful day when it all changed. The day America was attacked. We did not know who the enemy was or what they wanted. Since then, America has gone to war in Afghanistan and Iraq. Not to, God Forbid, minimize the pain and the tragedy 9/11 caused, however, we ask ourselves; What good is there in this tragedy? To truly understand something, we must experience it, or something like it, ourselves. This is especially true when one seeks to understand spiritual realities. To make palpable the spiritual to the human mind, one must first find the corresponding model in human experience. Now, after Sept 11, we can understand better when the Torah says (like it does in this weeks Torah portion): "When you go out in battle against your enemies". Our Sages explain that these verses don't only apply when the Jewish people go to war but are applicable to our inner spiritual battle as well. 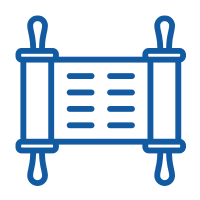 Our goal is to create homes and families where the atmosphere is harmonious and wholesome, expressing the values of thousands of years of Torah teachings. Against this come all kinds of threats. Some of them are very simple issues such as convenience and self-indulgence. Others are more problematic obsessions, which seem to haunt us continuously. We can win and we will win. The verse says "and the Lord, your God, will deliver him into your hands". In order to win we need to make an effort; we need to fight. We need to allow God’s light in and allow the victory to happen. We need to fight and allow God to do the rest. Make a commitment that the terrorists will not win. Choose a mitzvah, a good deed, that will be YOUR personal war on terror. Shabbat candles once a week, Teffilin at least once a week or putting a coin in the charity box every day. Need help implementing any of these? Reply to this email. Just when they thought it was over, some downtown Bel Air residents got a rude greeting Sunday morning. Are you surviving? How are you keeping busy? What are you going do if power isn't restored soon? These are just some of the text messages I received from family and friends over the past 24 hours. I am so addicted to technology :( I can read, learn, prepare a class or two. I focus and concentrate much better when I can't check email. I can play with my daughter and focus on what's important. These are just some of the thoughts that have gone through my mind in the past 24 hours. So much of the work I do requires a computer and the Internet. I am not accomplishing some of my "career goals" because I can't. There is no power. But I am forced to focus on the important things in life. The disruption of regular life has given me a new perspective (I hope it lasts) about: 1) what is really important, 2) the people who genuinely care and ask how I am doing - and want to get an answer, 3) there is nothing that can substitute for real time used well. Today we are begin the Jewish month of Elul. During the month of Elul we blow the shofar every day to give us "pause" and help us reflect on the past year. This helps us come to the High Holidays awakened and prepared. (RSVP for our free High Holiday services here). Throughout the month of Elul G-d says, “I am available. Now is the time to date me, to reconnect with me." Once the year begins (right now that parallels when the power goes on), I will be harder to reach. But for those that got close to me before that, I will keep on my speed dial. I will stay actively connected to them. Get powered, get energized, and take the new year by storm. 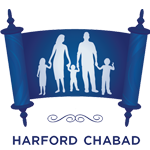 Chabad of Harford County - Where every Jew is a member!